The Clenaware Airack has been developed to greatly reduce the turnaround time from washing to use. The Airack and Airack Lite is a product unique to Clenaware and is designed and manufactured at our factory in Wellingborough. We aren’t just passionate about proper glass drying, we invented it! 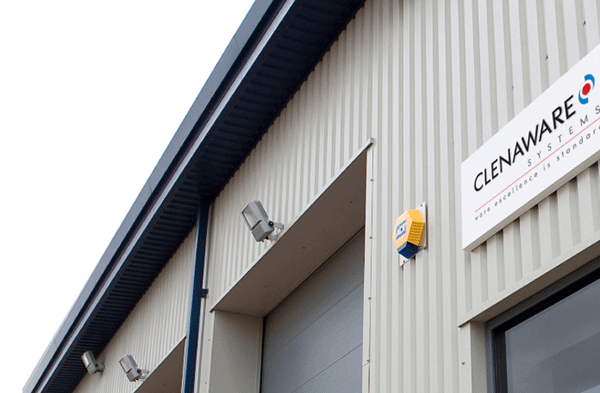 In 2002, Clenaware were approached by two of the major brewers after feedback from trade that pubs were losing customers due to their beer being served in a warm and wet glass. Due to the increase in footfall in many pubs, the demand for quick turnaround for a beer to be served had increased majorly. For best presentation, R&D found that the beer was at its best when dispensed into a dry glass at ambient temperature, but the whole process of drying and cooling a glass naturally was in excess of 40 minutes. 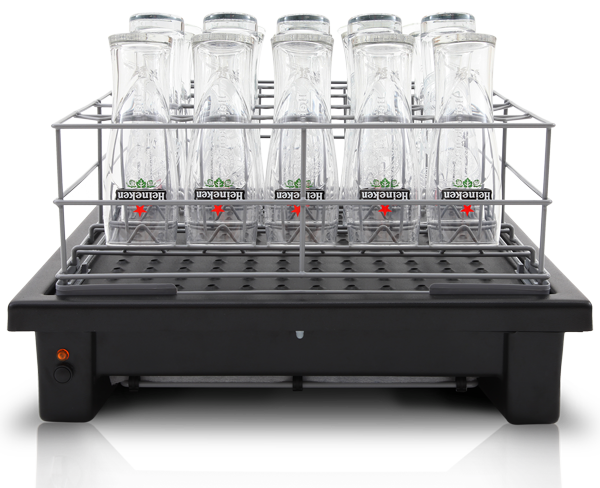 Clenaware went on to develop a ‘drying tray’ whereby the basket of washed glassware is removed from the glasswasher and placed onto a separate drying tray. 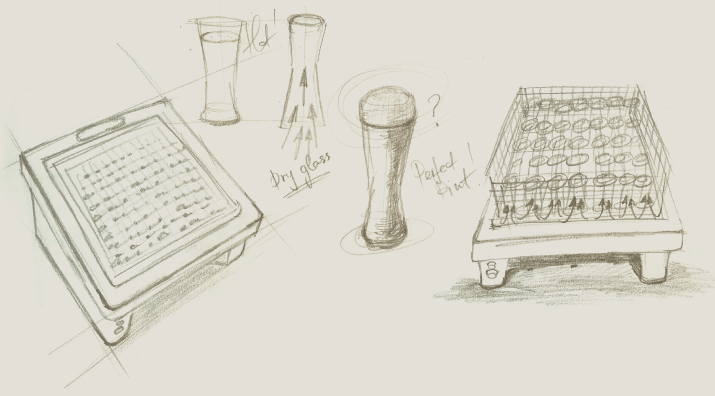 The Mark 1 drying tray was operated by blowing ambient (room temperature) air, into the underside of the glassware for a fixed period of time. In most conditions the glasses were completely dry within 4 minutes and were cooled by the effect of the wind chill due to the air flow. In 2003 the first ‘drying tray’ was developed, built and tested. The construction of the unit was fabricated from stainless steel and suitable for 50cm sq baskets. In 2004 the ‘drying tray’ was developed further for reductions in manufacturing and selling costs and by enhancing the aesthetic appearance by use of plastic mouldings in place of stainless steel. 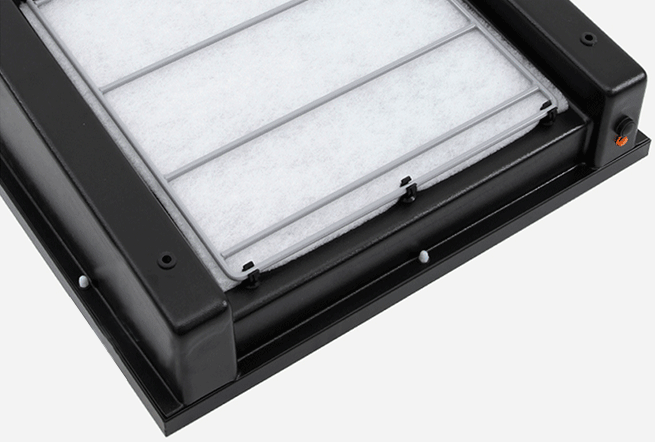 The product was rebranded as the Airack which incorporated a 4 minute fixed drying cycle, a built in drain and an air filter pad. The newly rebranded Airack product was released for purchase by the trade and went into many bars and clubs across the country. The product went on to be further developed in 2011, when the Airack Lite was introduced. This simpler version was based on the standard Airack, but with the drain and air filter pad removed and the timed drying cycle being adjustable up to 30 minutes by the user. 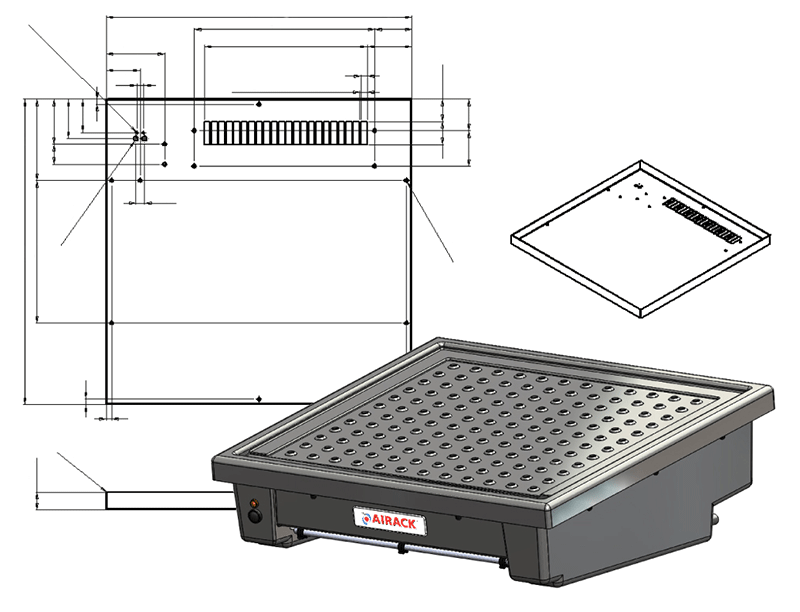 Finally, in 2012 the Standard and Lite Airack were redesigned with smaller footprints for each of the three specific basket sizes – 40cm sq, 45cm sq and 50cm sq. This resulted with six versions tailored to suit customer site requirements, three sizes (40, 45 and 50) in Standard and Lite versions.